The DES-1008F comes in a small compact size designed for use by SOHO with easy installation and high performance. 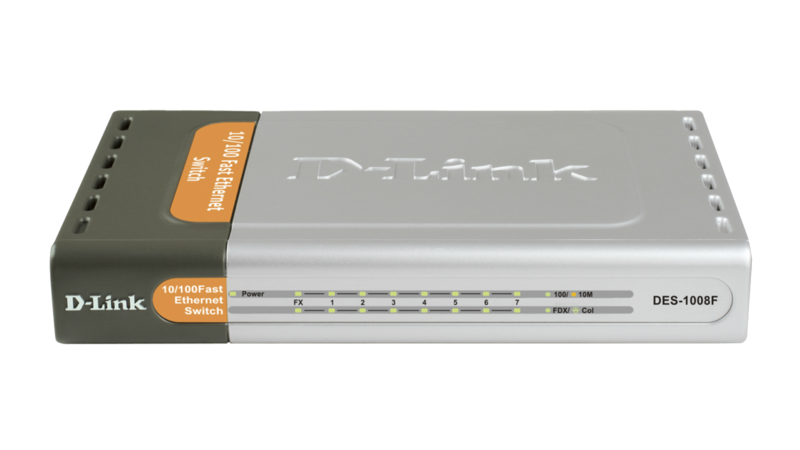 The switch eliminates unnecessary traffic and relieves data congestion by delivering dedicated bandwidth for each of the 8 ports. Each of the 7 10/100BASE-TX ports supports automatic MDI/MDIX detection, providing true plug and play capability without the need for confusing crossover cables or crossover ports. With the media auto-sensing feature, you can plug in the network cable to the switch directly without the need to worry if the end node is a NIC (Network Interface Card) or switch/hub. The switch also supports flow control and auto-negotiation of half or full duplex transfer modes for each port. 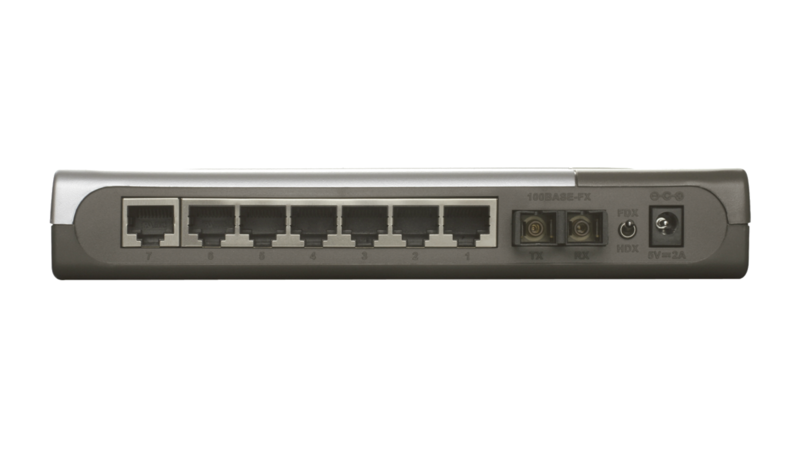 The switch provides a fibre port capable of transferring data at long cable distance. This port can be used to connect to a server over the reliable fibre cable, or to attach the switch to the network fibre backbone. 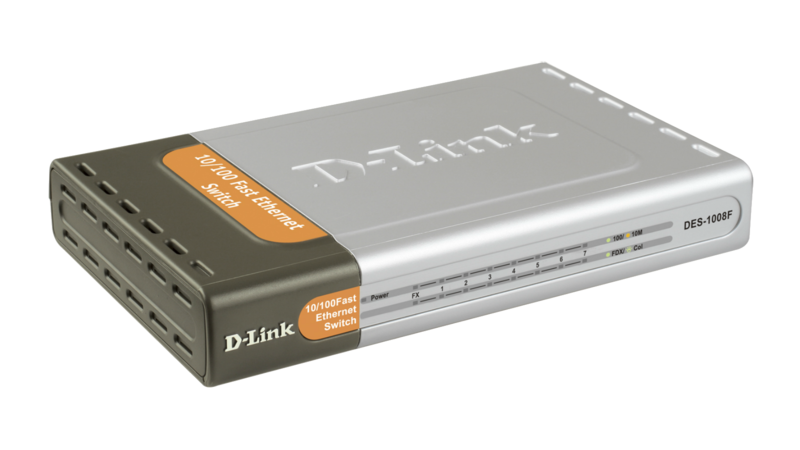 With 802.3x flow control support and fast store-and-forward switching scheme, the DES-1008F gives you secure data transfer with low data latency that prevents error packages from transmitting among segments. This product was phased out on: 2017.01.29.